Populated for centuries by Christian Armenian and Turkic Azeris, Nagorno-Karabakh became part of the Russian empire in 1805 when it was annexed from Persia. During the 1917 Russian Revolution, Azerbaijan and Armenia each declared independence and sought control over Nagorno-Karabakh, despite Nagorno-Karabakh having a population that was 72% Armenian at the time. 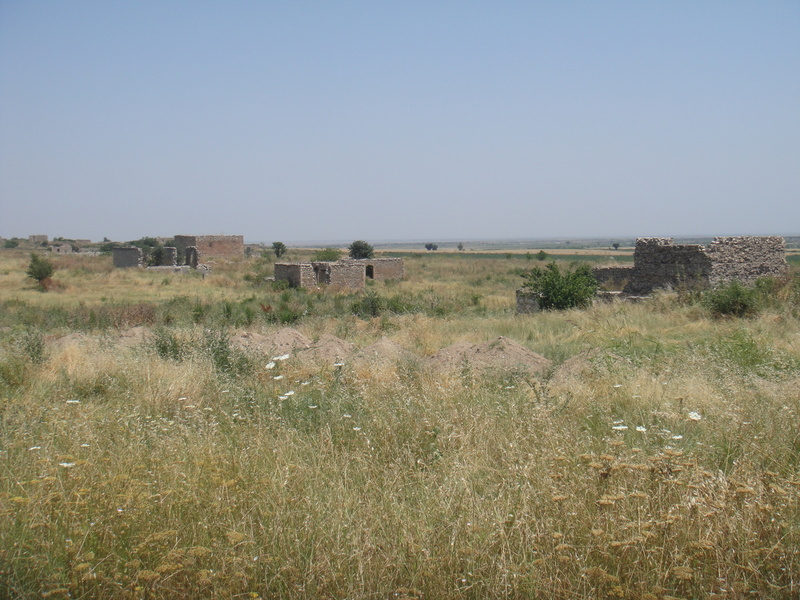 This struggle for control led Azerbaijan to side with Turkish forces, who continuing to persecute Armenians, destroyed hundreds of Armenian villages. Organized massacres of Armenians took place in Baku and what is today Gyandzha, culminating on the 28 March 1920 with the widespread slaughter of Armenians, accompanied by burning and looting, in Shushi, the then capital of Nagorno-Karabakh. After Russian forces reasserted control over Nagorno-Karabakh later in 1920, the new Soviet rulers, as part of their divide-and-rule policy in the region, established the Nagorno-Karabakh Autonomous Region, with an ethnic Armenian majority, within the Soviet Socialist Republic of Azerbaijan. Even though they chafed under Communist rule for seven decades, the Armenians of Nagorno-Karabakh continued to consider their real enemy to be the Azerbaijanis (who are ethnic Turks). You see, the modern Armenian character is forged by memories of 1915, when Turkey’s Ottoman Empire, embroiled in World War I, carried out the slaughter and mass deportations of Armenians. Hundreds of thousands — by some accounts more than a million — were put to death or died of starvation or exposure. The later coordination of Armenian persecution by Turkey and Azerbaijan that I described above, did nothing to dispel this Armenian mindset. Gorbachev’s policy of openness, established after he came to power in 1985, served to bring matters further into the open. With a population that was about 75% ethnic Armenian at the time, the year 1988 became a turning point in the history of Nagorno-Karabakh. Utilizing their increased freedom of expression, mass demonstrations started in Nagorno-Karabakh on 11 February 1988 demanding union with Armenia. On 20 February, Nagorno Karabakh’s governing body voted to secede from Azerbaijan and join Armenia. A violent mob attack on 28 February at Sumgait, Azerbaijan which was directed against ethnic Armenians resulted in around 30 deaths. Inaction from Moscow produced massive unrest with an estimated 200,000 Azerbaijanis fleeing Armenia and 260,000 Armenians fleeing Azerbaijan. With the Soviet Union rapidly disintegrating by 1989, Azerbaijan started partially blockading Nagorno-Karabakh in September. Then with a remarkable disregard for the likely consequences, even considering the distractions faced by the Soviet Union at the time, Moscow abandoned direct rule of Nagorno-Karabakh on 28 November 1989 and handed control to Azerbaijan. The year 1990 was to be one of conflict between Armenians and central Soviet forces with massive protests over the Nagorno-Karabakh issue and often brutal police and military repression: six Armenians were killed by troops in a confrontation on 24 May. The failed coup against Gorbachev on 19 August 1991 led to the inevitable break-up of the Soviet Union at the end of the year. Azerbaijan’s immediate response on 27 of August was to annul Nagorno-Karabakh’s status as an Autonomous Region which then led, on 2 September to a declaration of independence from Nagorno-Karabakh and the formation of the independent Republic of Nagorno-Karabakh – the goal had changed and union with Armenia ceased to be the objective. A referendum on 10 December resulted in an overwhelming vote for independence. Azerbaijan began a blockade of the territory (which it completely encircled) and launched military strikes using the equipment of the Soviet Union’s 4th Army stationed in Azerbaijan (Each side in the conflict seized what arms it could from the vast Soviet arsenals, but the Azerbaijanis had access to far more weaponry). Meanwhile, reflecting rapidly shifting geopolitical currents, newly emergent Russia saw Armenia as a key ally against Turkey, a member of NATO. Most significantly for Nagorno-Karabakh, Russia agreed to sign a collective security pact with Armenia on 15 May 1992. Azerbaijani military attacks made initial territorial gains, but by 8 May, 1992 they had been driven back from Martakert and Shushi. 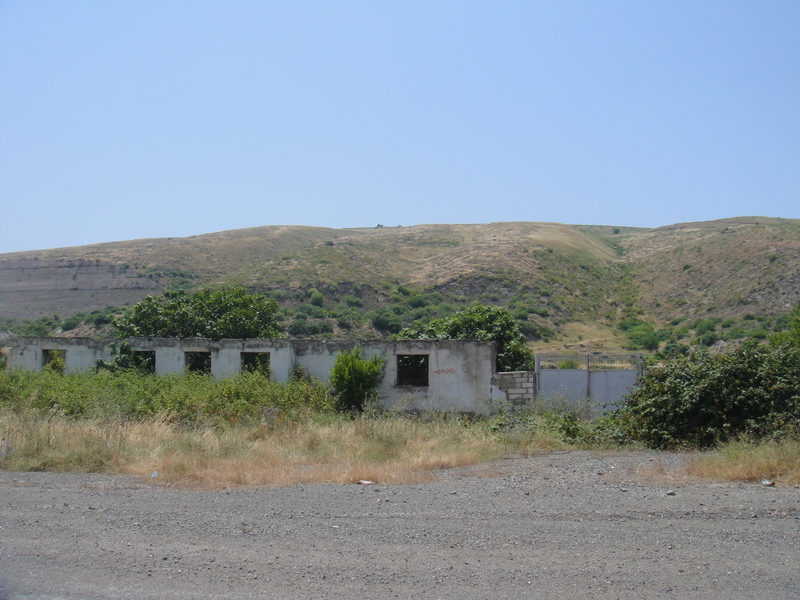 Two weeks after taking Shushi, Armenian forces seized, looted then burned Lachin, a mountainside Azerbaijani town just outside the enclave’s eastern border. 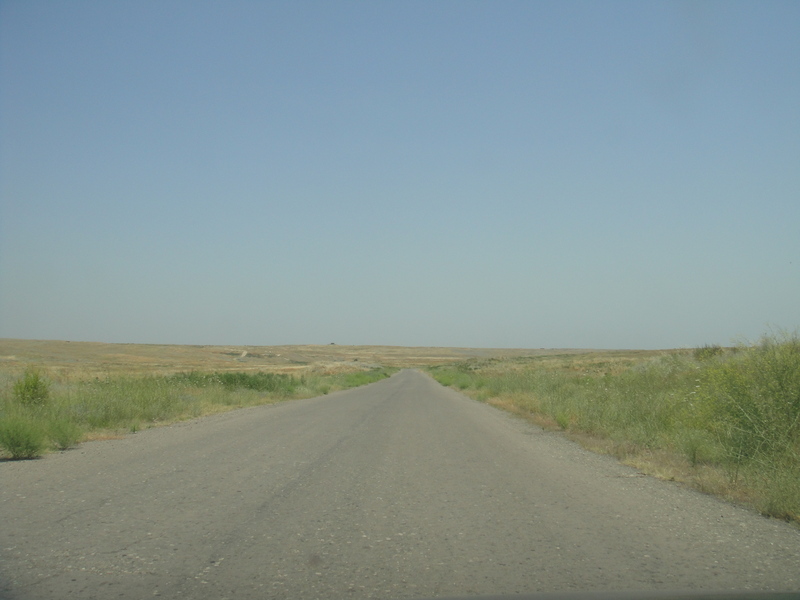 Control of Lachin gave Nagorno-Karabakh a corridor to Armenia, over a twisting mountainous road, breaking the blockade of Nagorno-Karabakh by Azerbaijan. This, however, was to be followed by a renewed Azerbaijani offensive which resulted in considerable Azerbaijani gains so that by the end of July they had taken the whole of the Shahumian region, a significant portion of the Martakert region and portions of Martuni, Askeran and Hadrut, controlling about 60% of the entire territory. Russian support soon arrived, however, in the form of supplies and equipment. By March 1993 the Armenian army was able once more to go on the offensive and over the next few months it not only recouped all its losses, but gained almost all of Nagorno Karabakh and a considerable swathe of Azerbaijani territory. That seizure of Azerbaijani territory brought charges that Armenia and Nagorno-Karabakh had turned into the aggressors, despite their inferior numbers, and resulted in the first international condemnation of Armenian aggression against Azerbaijan, summed up by United Nations Resolution 822, which demanded an immediate Armenian withdrawal. Rather than comply, however, the Armenians continued forcibly depopulating areas of Azerbaijan to the north, east and south of the territory of Nagorno-Karabakh. Despite promises made by the political leadership in the Nagorno-Karabakh capital, Stepanakert, to abide by a series of internationally brokered cease-fires in June and July, the military leadership of Nagorno-Karabakh continued the campaign. 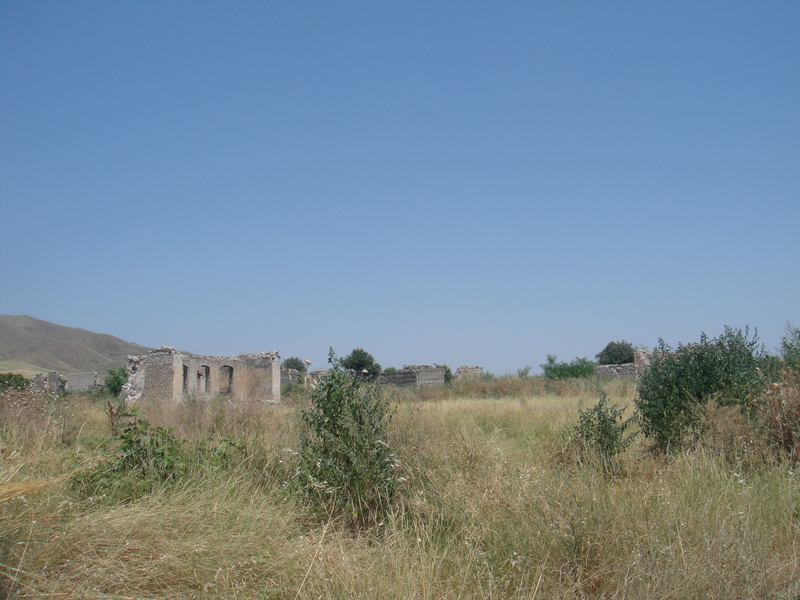 In July, Armenian forces forced out the defenders of Aghdam, Azerbaijan, looting and burning the city. That created 100,000 more refugees. 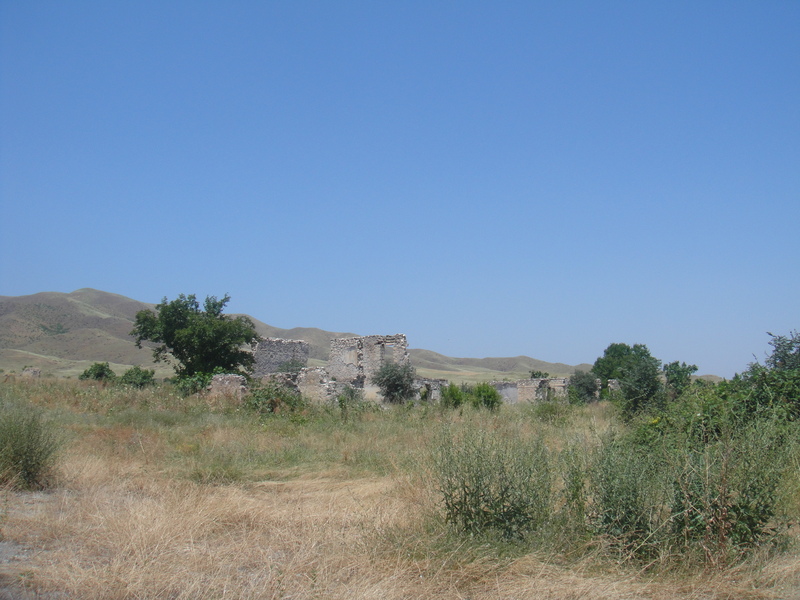 Nagorno-Karabakh’s Defense Minister, justified the taking of the Azerbaijani territory on the grounds that it was a base for rocket strikes on Karabakh villages. Other military officers and a senior Government official in Yerevan claimed that it was done to force the Azerbaijanis to negotiate. Finally on 5 May 1994, a cease fire brokered by the Russians went into effect and holds loosely (sometimes very loosely) today. The final tally for the dead in the Nagorno-Karabakh war is approximately 30,000 (with some estimates running as high as 40,000). The war also created more than a million refugees, mostly Azerbaijanis. But many Armenians fled Baku and other cities of Azerbaijan over the course of the conflict as mob violence and annihilation descended upon them. Trying to give the war some perspective — recalling the vicious anti-Armenian pogroms in the Azerbajani town of Sumgait in 1988 or the crude Soviet-backed attempts to “resettle” the Armenians of Nagorno-Karbakh — is as useless when talking to Azerbaijanis as it is to present contrary examples to Armenians. For each such wrong to Armenians there is a counter-memory from the Azerbaijanis — the bloody storming of Baku by Soviet troops in January 1990, the massacre of Azerbaijanis in Khodzhali in February 1992, the desecrated mosques, the refugees. The above was my version of events. The official Nagorno-Karabakh Republic version can be found here. And the Azerbaijani perspective and version of events can be found here and here. If you are interested in more, a very detailed and lengthy history can be found here. By the way, I should mention that we were not supposed to visit the area I present to you below. When applying for permission to visit Nagorno-Karabakh, one must specify exactly where they wish to visit and any areas that are controversial will be promptly crossed off your list. Supposedly, one will be stopped and asked for their list of permitted destinations before being allowed into sensitive areas. 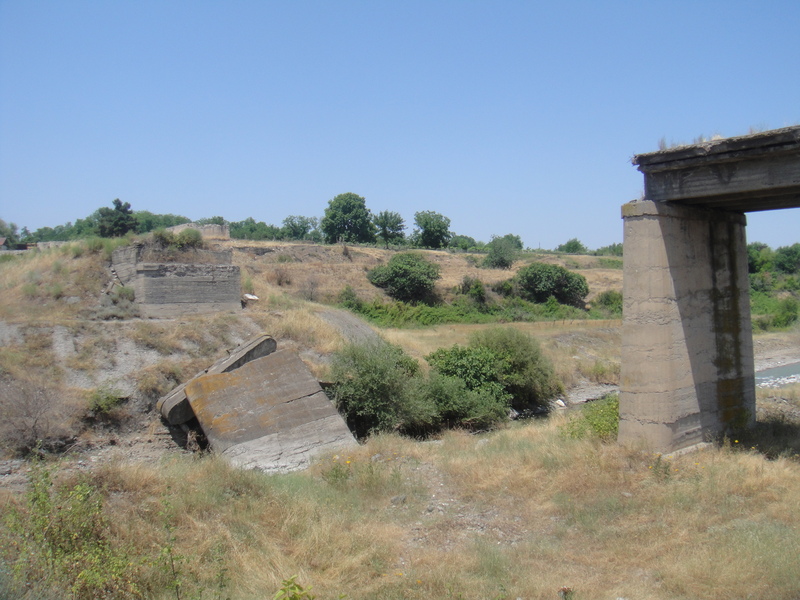 When I was in Yerevan and requested permission to visit Aghdam and other controversial sites on the front line at the Ministry of Foreign Affairs of the Nagorno-Karabakh Republic, I was curtly informed that this was “not possible” to do. However, I have learned that the situation on the ground has a tendency to be different than what an office bureaucrat tells you it is. So, with that in mind, once we were inside Nagorno-Karabakh, I decided to give a try to visiting the front lines. The result? No checkpoints. No roadblocks. No one asked us for our papers. 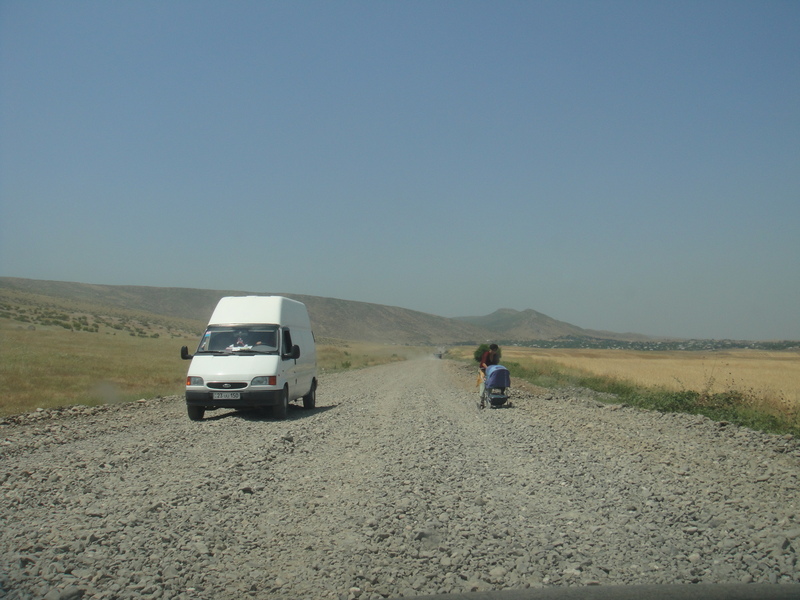 In fact, at no point in our entire visit were we stopped or questioned once we had crossed into Nagorno-Karabakh. Now, as I was saying about what the area looks like today… One of the first things one will notice is a dramatic increase in all that is related to war. 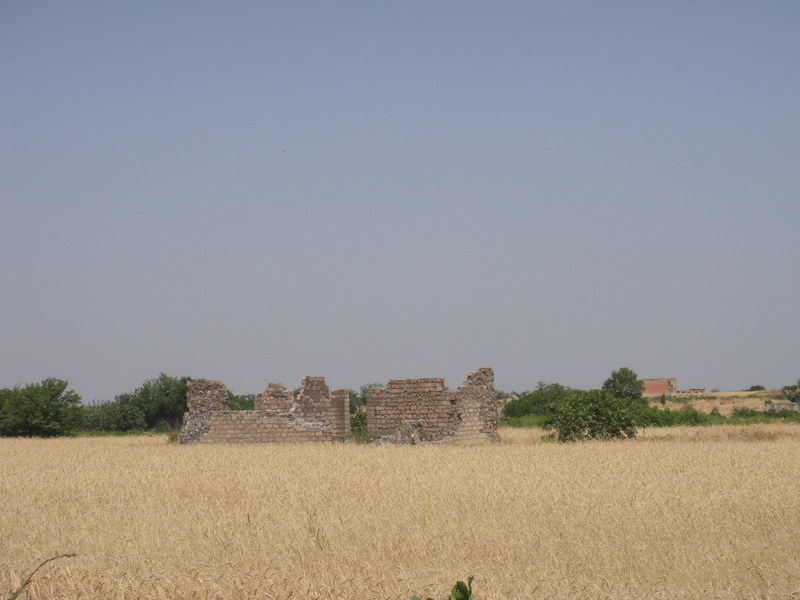 The number of ruined buildings increases. The number of soldiers out on patrol increases. The number of signs warning of minefields increases. The number of rusting, twisted machines of war that were left behind on the battlefield increases. The number of graves filled with war dead increases. 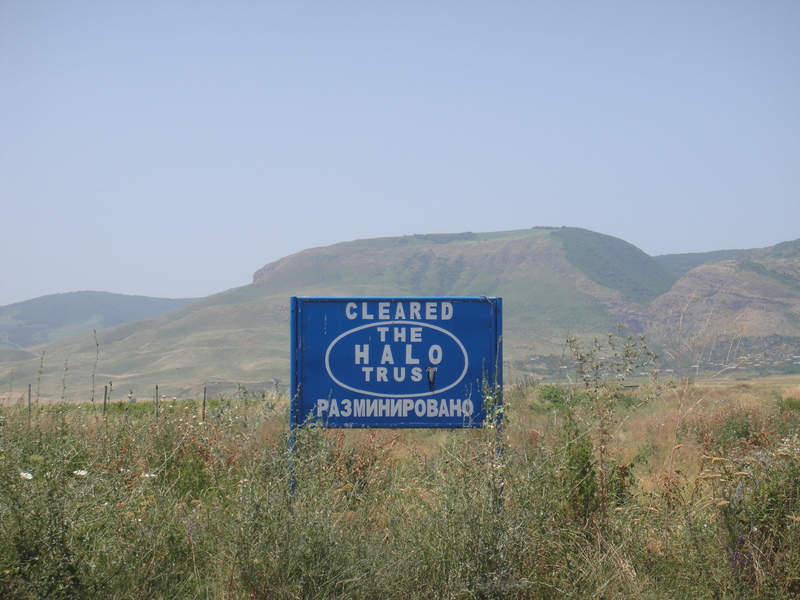 Nagorno-Karabakh remains one of the most heavily mined regions of the world, guaranteeing work for organizations that clear land mines, such as the HALO Trust, for quite a while. I have spoken highly of the HALO Trust before after observing their work in Afghanistan and my high regard for them and the work they do has not diminished after observing them at work elsewhere. I don’t know what the sign says, but I assume it says that bad things will happen to you should you choose to proceed to the de factor border with Azerbaijan which is a short distance past the rise in the background. My Italian, however, adamantly refused to do so and I was thus compelled to leave her behind. I drove to the rise and then stopped the car and got out. Azerbaijan stretched before me. I savored the moment and took the picture you see below, but did not loiter as their are a number of Azerbaijani bunkers and trenches out there and the threat of snipers is a very real one as every year, snipers kill roughly 30 people on either side of the so-called line of contact. How intense was the fighting in this area? 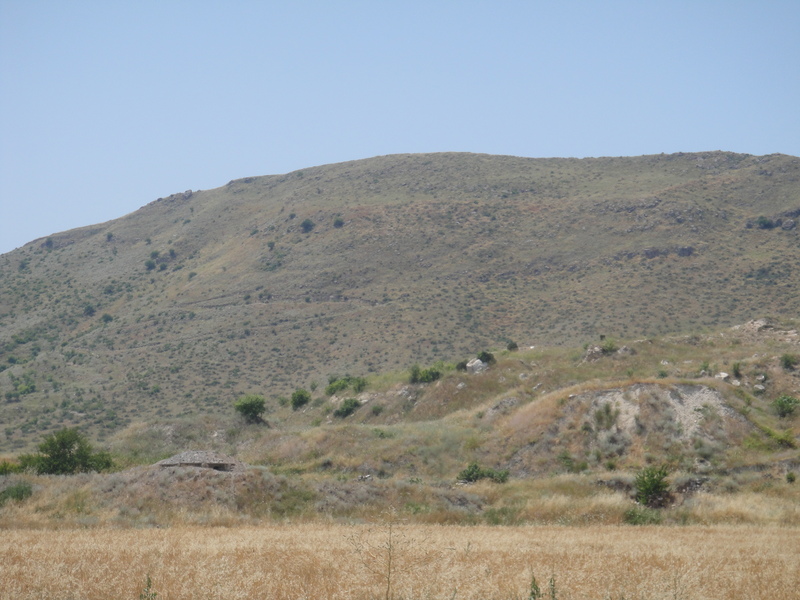 The front line traces along the edge of the hills of the Karabakh Mountain Range, where they spread into the plains. The northern frontier is along the Mrav Mountain Range. Moving parallel to the front lines provides a sense of just how heavy a presence the Nagorno-Karabakh Republic Defense Army has here. One question I have been asked several times is how the Nagorno-Karabakh forces, a ragtag militia with simple rifles drawn from a population of fewer than 200,000, transformed itself into an army that defeated an army from a country of 7 million? Part of the answer, of course, is that they did so with the significant support of Armenia and Russia. Approximately 20,000 regular Armenian Army forces were fighting alongside the forces of Nagorno-Karabakh. Another part of the answer lies in the fact that about sixty percent of the Nagorno-Karabakh army — which probably numbered about 10,000 regular troops and that many more in village militia — served in the Red Army. The Azerbaijani forces were also former Soviet soldiers, but the Soviets discriminated against them because they were Muslims. Few became officers, while many Armenians were promoted and worked with missiles and advanced weaponry. Nagorno-Karabakh’s successes can also be attributed to the ineptitude of many Azerbaijani units and their apparent lack of commitment. Many abandoned battles, ingloriously leaving their weapons behind – weapons the Armenians were happy to retrieve. These lands do not just hold the remains of those from Nagorno-Karabakh and Armenia or Azerbaijan, but also many Russian mercenaries (fighting for both sides) as well as those of Afghan mujahadeen and Chechens who were fighting for Azerbaijan. Could war break out here again? As the 2008 war between Russia and Georgia over South Ossetia demonstrated, frozen conflicts can turn hot very quickly. For at least the last couple of years, Azerbaijani President Ilham Aliyev and some of his ministers have engaged in aggressive verbal exchanges with Armenia. Earlier last month, a spokesman for the Azerbaijan Ministry of Defense said that ultimately his country would “meet the expectations of the people, the government, and the supreme commander-in-chief and will liberate the occupied land from the enemy.” Here is a collection of such statements from both sides. And in a recent piece, the New York Times’ Ellen Barry said she found an antsy, pro-war mood in Baku. 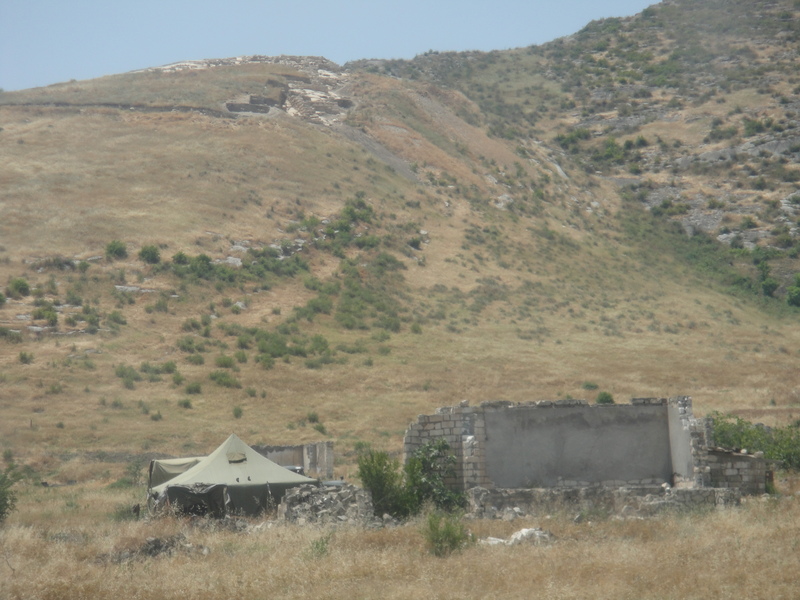 “Often described as “frozen”, the Nagorno-Karabakh conflict has been warming up. A recent report from the International Crisis Group says that ceasefire violations rose by 53% last year. At least 25 soldiers were killed in skirmishes. Hours before the Sochi talks began,reports emerged of the death of an Armenian soldier from Azerbaijani sniper bullets. In total, 3,000 people have been killed in skirmishes along the boundary line since the May 1994 ceasefire took effect. Both countries have stepped up their bellicose rhetoric. Ilham Aliev, Azerbaijan’s president, warned of war in at least nine separate speeches in 2010, and has shown no sign of letting up this year. His Armenian counterpart, Serzh Sargysan, has strongly underlined his country’s readiness to repel any attacks. Recent military exercises in both countries suggest this is not empty bravado. Moreover, both leaders are putting their money where their mouth is. In oil-wealthy Azerbaijan, defence spending has grown by an average of 50% every year since 2003. This year defence will account for one fifth of Azerbaijan’s total public spending, and more than the entire Armenian budget. But Armenia too has increased its weaponry, with help from its Russian friends. Popular attitudes in each country are unforgiving, with commemoration of past injusticesat this time of year reinforcing hard-line attitudes. Azerbaijanis recently marked the 19th anniversary of the Khojali massacre, while Armenians mourned the 23rd anniversary of the anti-Armenian pogroms in Sumgait. Tags: Armenia, Askeran, Azerbaijan, Justin Ames, Lachin, Martakert, Nagorny Karabakh, The Front Lines, The Nagorno-Karabakh War. Bookmark the permalink. The bitter war between Azerbaijan and Armenia over the disputed territory of Nagorno-Karabakh has been on hold for 16 years. But that doesn’t mean it’s over. It all looks very tidy, a postcard-perfect picture of a small country’s capital city. The central square is fenced off to traffic; inside, a flag flaps lazily over the four-story presidential offices, near the white-domed parliament building and a shiny new hotel with red awnings over its outdoor cafe. A few policemen and pedestrians stroll about admiring the view of the local sports stadium and the green plains beyond it. Upon closer observation, however, the picture becomes stranger. The flags have a curious design: red, blue, and orange stripes punctuated with a jagged white step pattern. In the city center there are no embassies, no branch offices of global banks, no international businesses or ads — in fact, almost no foreigners at all. The list of U.S. officials who have visited this place in the past 20 years numbers in the single digits. This is Stepanakert, capital of Nagorno-Karabakh, virtual state and the relic of one of Europe’s forgotten wars. Everything in Karabakh — a mountainous region slightly larger than Rhode Island and home to 100,000 people — is Armenian and Armenian-run. But Karabakh is still located in the internationally recognized territory of Azerbaijan. The large numbers of men in camouflage fatigues on these streets also tell a story: This would-be state was forged out of conflict, fought over between 1991 and 1994, and 16 years later remains perched on the edge of it. More than 20,000 Armenian and Azerbaijani troops stare at each other from trenches on either side of the cease-fire line. War is still in the air. The situation on the Line of Contact, as the cease-fire line is known, is a barometer of the health of the peace process, and this year it is in bad shape. In 2009 around 19 people died in shooting incidents there, and 2010 has already matched that level of bloodshed. On the night of June 18, four Armenian soldiers and one Azerbaijani died in a fierce clash, only hours after Russian-mediated talks between the two countries’ presidents in St. Petersburg. When U.S. Secretary of State Hillary Clinton visits Armenia and Azerbaijan — though not Karabakh — this week, she will raise the issue of the crumbling cease-fire with the presidents of both countries. I have made a dozen or so visits here over the years, and spent a lot of time in these streets and hills, researching my book on the Karabakh conflict. Azerbaijan is so sensitive about foreigners’ visits that when I come here, as a sign of respect, I make sure to inform the Foreign Ministry in Baku that I am making the trip (though I do not ask its permission). A lot has changed over the years. When I first came in March 1996, much of Stepanakert was still in ruins from Azerbaijani bombardment; there was nowhere decent to stay, and virtually no shops were open. Since then the city has been completely rebuilt. The little de facto Armenian state has become a pet project for many diaspora Armenians, who fund a school here, a clinic there. 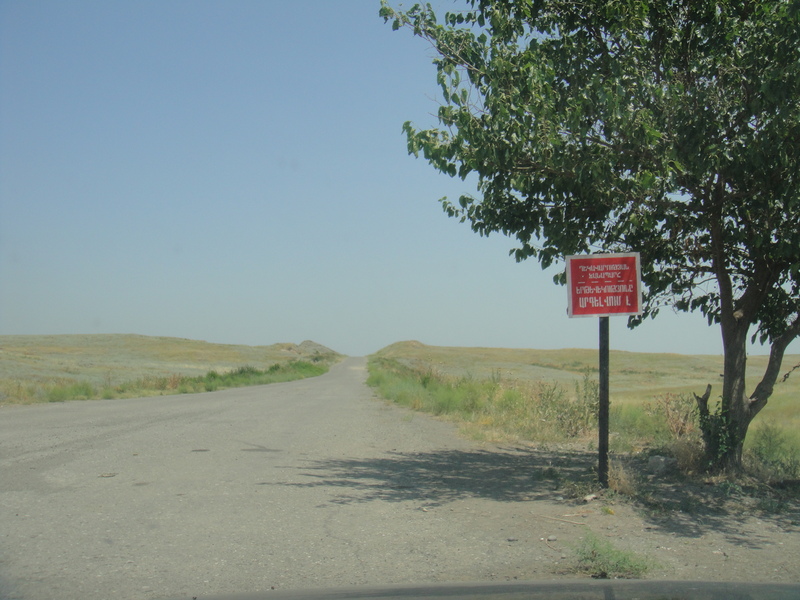 The final stretch of road into Stepanakert bears a sign saying it was funded by the Armenian community of Argentina. Most of the funding for the territory’s annual budget of $200 million comes directly from the government in the Armenian capital of Yerevan, making Karabakh, economically and militarily, an outpost of the Republic of Armenia. Yet the state of siege has given the Karabakhis a very different outlook. The Karabakh Armenians always prided themselves on being highlanders, more stubborn and hardy than their cousins across the mountains in Armenia proper. First war and then international isolation have hardened their defiant streak. A decade ago, the locals in war-shattered Stepanakert were only too glad to share their problems with me. Now their message to the outside world is, “You’re not talking to us, so why should we talk to you?” As a rare visitor, I am treated like an emissary from a whole international order that has rejected them. There is a logic to this intransigence. The Armenians of Karabakh do not even have a place at the negotiating table in the talks over their own future — that is handled by the sovereign governments of Armenia and Azerbaijan. The agreement being hammered out by the two countries will offer the Karabakh Armenians “international guarantees,” including some kind of international peacekeeping force, in return for them giving up territory to Azerbaijan. But no international official has ever spelled out to the Karabakh Armenians what these guarantees will be. Whenever I raise this issue in Karabakh, I get a negative response. “Name me a successful international peacekeeping mission,” says one Karabakhi friend. Worryingly, this vision of statehood increasingly extends beyond the borders of Nagorno-Karabakh itself. In 1993 and 1994 the Armenians consolidated their hold on the enclave of Karabakh by conquering, wholly or partially, seven regions of Azerbaijan surrounding it. At first, they talked about these lands as a security zone to be given up in return for concessions from Azerbaijan on the final status of Karabakh. 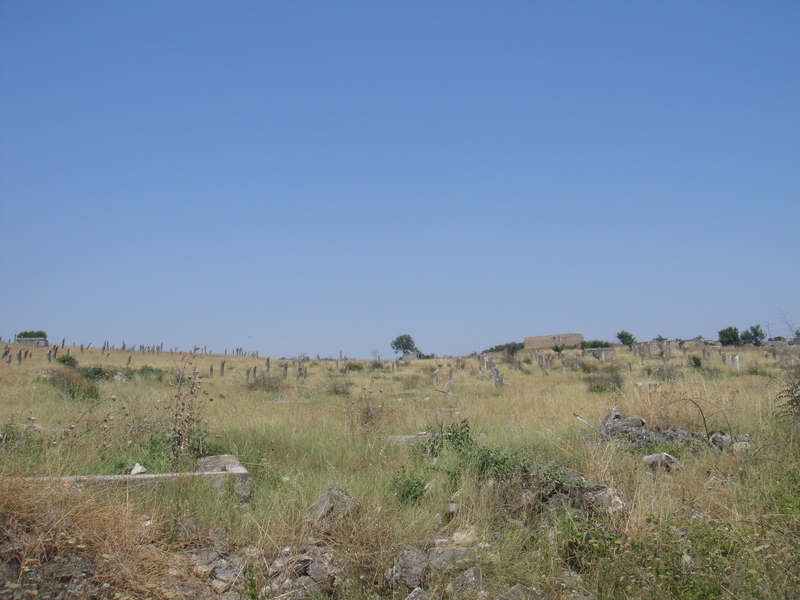 Years later, the lands still lie empty, the towns and villages in ruins, but the local Armenians increasingly think of them as “ours.” Farmers have begun to plant and harvest there, and a little museum has opened to display archaeological finds from what Armenians claim is the ancient Armenian city of Tigranakert, located in the Azerbaijani region of Agdam. 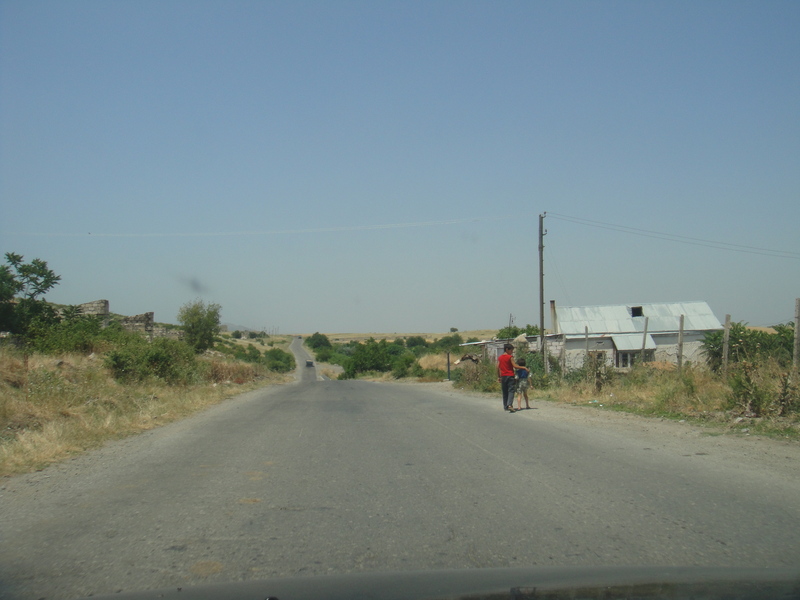 These villages and towns were also of course home to hundreds of thousands of Azerbaijanis, who are still refugees in sanatoria and makeshift housing across Azerbaijan. The issue of their rights is the most sensitive one here, and whenever I raise it, the Armenians push back hard, always making the point that Armenians were also made refugees by this conflict. Fair enough, but most of the Armenian refugees were displaced from Azerbaijan in Soviet times, and have long since made new lives elsewhere. Like everything else in this conflict, the argument is an instrument to absolve your own own side of the obligation to take any constructive steps forward. During my visit to Karabakh earlier this month, I took the winding road up to the hilltop town of Shusha. It is an Azerbaijani name for a town whose majority population for most of the past century was Azerbaijani; the Armenians call it Shushi. There is no way you can erase Karabakh’s multiethnic past here: Once this was one of the great towns of the Caucasus, home to grand theaters and caravanserais, mosques and churches, and a posh school where the local bourgeoisie groomed their sons for careers in St. Petersburg. 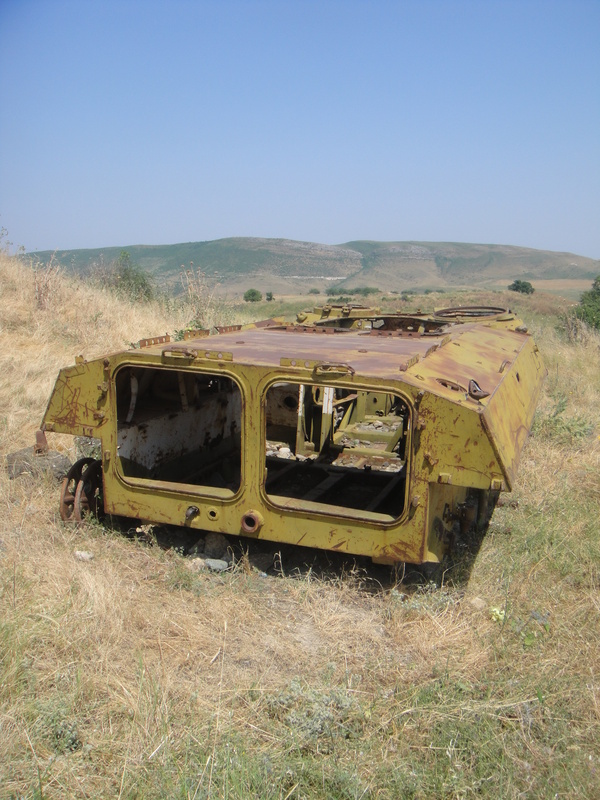 Now, 18 years after the Armenians captured the town and then burned it, it is still a sad wreck. Only the church has been properly reconstructed, but when I slipped inside its echoing marble interior, I was the only visitor. The town’s two mosques have been tidied up, but not fully restored. The once imposing facade of the school stands in a forlorn ruin. Will Azeris ever come back here? At the moment, there isn’t even a hint of that possibility. Almost all local Armenians flatly reject the idea. That of course enrages Azerbaijan, which feels that its territory has been ripped up and its people expelled in an act of war. And it pushes the Azerbaijani government harder into an aggressive line that has got it nowhere in 16 years. The default policy is total isolation of Nagorno-Karabakh and an outright refusal to work with Armenian “aggressors” on any issue. That policy has led the Azerbaijani government to reject almost all international proposals for confidence-building measures, including sharing water with Armenian farmers or withdrawing snipers from the cease-fire line in the name of reducing casualties. Even Azerbaijan’s normally urbane foreign minister, Elmar Mammadyarov, recently declared, “the final stage of negotiations will be the time when the Azerbaijani flag will be flying in Khankendi” — the Azerbaijani name for Stepanakert. Each black-and-white position sharpens the other. Offered nothing by Azerbaijan, the Karabakh Armenians just carry on their slow, quiet business of building a de facto state, looking to their small band of friends in Armenia, the diaspora, and a few surprising allies in the U.S. Congress, which gives Karabakh $8 million a year in humanitarian and development aid. In a sense, neither side has stepped off the path it took when this dispute first broke out in 1988, when Mikhail Gorbachev was in office and the Karabakh Armenians appealed, unsuccessfully, to allow their territory to leave Soviet Azerbaijan and join Soviet Armenia. Since then, the two countries’ post-Soviet incarnations have been engaged in a game of you-win-I-lose, each demanding total surrender from the other. I like the Karabakh Armenians, even in their dourness. I understand their predicament. But I worry that their inflexibility, once a rhetorical stance, is hardening to the point where they will not take a good chance for peace if one is offered to them. And my heart also aches for the refugees I meet in Azerbaijan, some of whom live only a few miles on the wrong side of the cease-fire line from their shattered empty homes in Armenian-controlled territory. The endlessly deadlocked peace talks between the two sides give them no prospect of a return home anytime soon. I also worry that sooner or later, someone will overstep the cease-fire line even more brazenly and a war will break out here again. No military analyst thinks that this is a war that anyone would win. It would spell catastrophe not just for Armenians and Azerbaijanis, but for the entire South Caucasus, including Georgia, Iran, Russia, and Turkey, not to mention the Caspian Sea energy pipelines. But, buoyed by oil revenues, Azerbaijanis speculate ever more openly about reconquest. Baku spent more than $2 billion on its army last year, almost matching the entire Armenian state budget. One day, Azerbaijan, increasingly politically closed, inward-looking, and disconnected from the West and its arguments, might make the wrong move for the wrong reasons. On the last day of my trip, I went on an excursion to the south of Karabakh. We drove through green-carpeted pastures and lush woodland, reminding me why this little bit of paradise is so coveted by both Armenians and Azerbaijanis. Eventually we reached the little town of Hadrut, at the head of a valley, looking down to the Armenian-held plains of Azerbaijan that stretch down to the Iranian border. The Armenians have always been the highlanders here, the Azeris the plain-dwellers. Another winding road took us up again to a tiny 12th-century Armenian church, named Siptak Zham, on a rocky promontory. 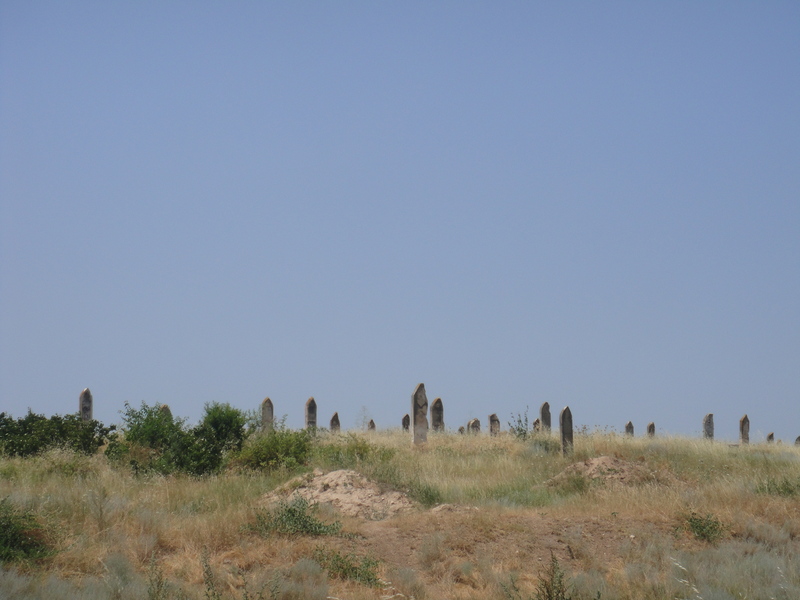 These medieval churches and the proof they present of Karabakh as an Armenian Christian territory are part of the stony narrative the Armenians spin for their cause. We wandered through a graveyard full of thistles and bird song. My traveling companions squinted at the tombstones, deciphering the faint inscriptions in the medieval Armenian script. I stepped into the little church. It was all stone, virtually bare but for orange wax drippings from a few candles and a couple of nesting birds. The altar was a strong stone slab. Beautiful, remote, stony — that, too, was the character of Nagorno-Karabakh and its admirable but hard Armenian inhabitants, refusing to bend to the outside forces brought to bear on them. One should note that not only Karabakh is occupied by russian army with its motorized divisions and armenian separatist groups, but also 7 regions around the Karabakh province of Azerbaijan. You should ask yourself why is 20% of Azerbaijani territory occupied by the occuants? Why armenians did such unhumane murdering of men, women and even children? Why are they spreading lies in the west saying that Azerbaijanis destroying their villages, while the Karabakh war (1991-1994) was going on the Azerbaijani lands. British, French and even Russian reporters confirmed that armenians have brutaly murdered unarmed civilians in several regions in Azerbaijan in order to colonize the entire Karabakh region with Armenians. Even baby`s were not spared. If you look in detail, you will also come across the fact that these crimes were not only against Azeribaijanis, but also against Georgians in Abkhazia and south-Osetia. Approximately 70% of Abkhazians are of Armenian origin and Armenian paramilitary groups such as Bagramyan battalion, the rest 10% Abkhazians and 20% Russian military troops. The same situation happened in south-Osetia war. Now Armenians claim even more lands from Azerbaijan, including the whole western and southern parts of Azerbaijan. They modify maps and historical books in order to claim these lands as their birth place. Since 1918 they have done terrorist attacks against west Europeans (after WW1), Turks (in 1914 and late in 80`s), Georgians (1917 and Abkhazia and south-Osetia wars 1991-1993) and Azerbaijanis (1904, 1905, 1918, 1988, and Karabakh war 1991-1994). Is this justice? Is this what you get when you live in peace with your neighbour for so many years? Since 1904 armenians brutaly murdered ca. 300.000 azerbaijanis, lezghi`s, jews, azerbaijani russians, christian caucasian albanians, ukrainians, greek, talish and georgians living in Azerbaijan democratic republic in 1918. There are so many different ethnic groups and nationalities living in Azerbaijan since the time when Azerbaijan was part of the Russian empire. This makes Azerbaijan as a unique multi-ethnic country with rich culture and tolerance to its ethnic minorities and neighbours. The horrible crimes that were committed by russian army, armenian terrorist groups and their mercenaries against Azerbaijanis, Georgians and ethnic minorities is a genocide which must accepted as a horrible crime against humanity! Azerbaijan has the right to liberate their lands from occupants and has the right on compensation worth of 60 billion dollars for the destruction of cities (such as ghost town Agdam), fabrics, cultural centres (destroyed in Shusha), schools, homes and nature reserves. Azerbaijanis are descendants of christian Caucasian Albanians who lived there since 700 BC. 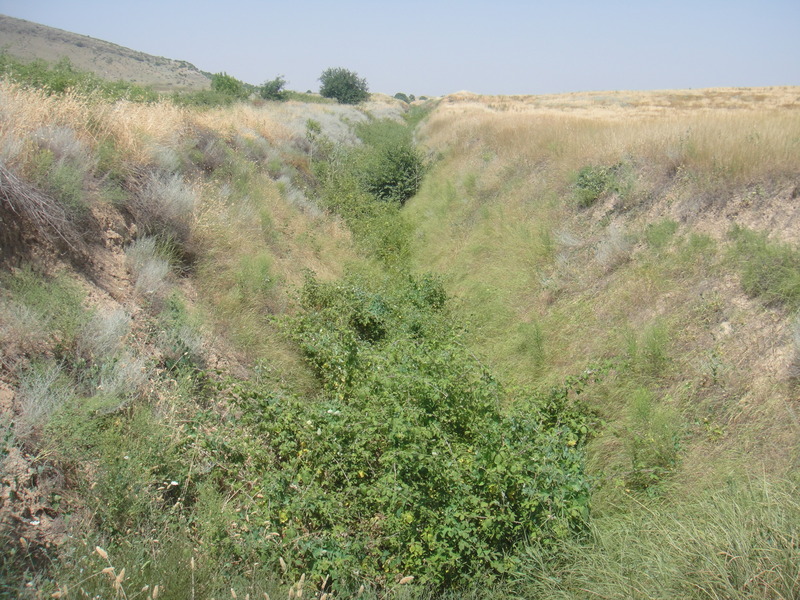 There is proof and evidence to find in the northern regions of Azerbaijan, Nakhichevan, but also in Armenia. Visit the Caucasus and judge for yourself, is there a justice in this forgotten place of Eastern Europe? “Crual L’Eveneman” magazine (Paris), March 25, 1992: “The Armenians attacked Khojaly district. The whole world became the witness of the disfigured dead bodies. Azeris speak about thousand killed people”. “Sunday Times” newspaper (London), March 1, 1992: “Armenian soldiers annihilated the hundred families”. … The cameraman from Lebanon confirmed that the rich dashnak community of his country send the weapon and people to Karabakh”. “Financial Times”, March 14, 1992: “General Polyakov said 103 Armenian servicemen from regiment No 366 stayed in Nagorni Karabakh”. “Izvestiya” newspaper, March 13, 1992: “Major Leonid Kravets: “I saw about hundred dead bodies on the hill. One little boy was without head. Everywhere were the dead bodies of women, children, elders killed with the particular brutality”. “Valer actuel” magazine (Paris), March 14, 1992: “…this “autonomous region” Armenian armed forces together with the people who are natives of Near East have the most modern military equipment, including the helicopters. ASALA has military bases and ammunition depots in Syria and Lebanon. Armenians annihilated Azerbaijanis of Karabakh, implemented bloody massacre in more than 100 Moslem villages”. Journalist of british TV company “Funt man news” R. Patrick who visited the palce of tragedy: “Crime in Khojaly can not be justified in public opinion”. Peouple of Artsakh ( Nagorno Karabakh) faced a lot of cruelties by the Azeri nationalists who tried to repeat what there extracted Turkish countrymen tried to do with Armenians in 1915. And khojally is planed massacre carryed out by azeris themselves against there own unwanted minority, (central asian turkic people). Azerbaijan propaganda (spread by oil money) made by the Aliev´s dictator regime to cover up atrocities in Baku, Sumgait and Maraga against Armenians in Nagorno Ka..
which Russia understand but not Europe, that will threaten European and in first hand Russian values. Yes, the authorities are not fond of visitors (especially visitors with cameras). then i guess the authorities are smart , they know the azeris are watching close by on the border, its for your own safety ! also, why would they be fond of tourists…. where are you people from ? what purpose do you have to be in artsakh ? why are you so interested in artsakh considering your nations reject it being autonomous. do you acknowledge artsakh ? did you know azerbaijan black lists you if you visited artsakh? i actually find it odd you guys traveled to artsakh, how did you hear of it ? time for you answer .